Dear Tammy: I’m currently trying to put together a list of travel tips, tricks and hacks that can make traveling easier for my clients. Do you have any you can share with me that are tried and true? Tammy: Great idea! By your going above and beyond to take care of your clients, you're doing what’s necessary so your clients will always come back to you when they’re ready to book their next vacation. What you’re doing is one of the reasons why so many people are choosing to use the services of a travel agent again. Even though I’ve been traveling for many years now, I’m still amazed when I learn some new tricks that can make traveling much easier! One of the most important tips every traveler should do before going on their trip is to make a copy of all of their important documents and then email it to themselves. If they happen to lose any of their documents, they can just access their email so they at least have a digital copy. 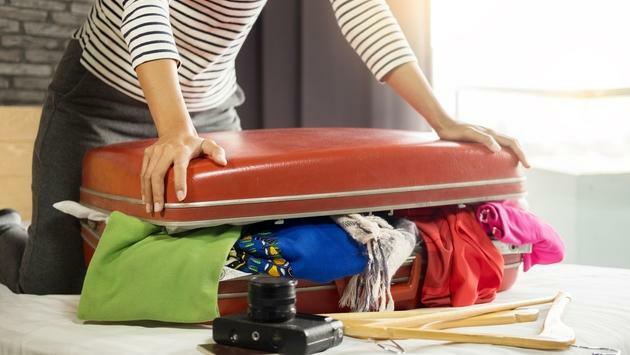 When it comes to packing a suitcase, rolling clothes not only helps make more room, it also helps to prevent the clothes from getting wrinkled. Adding a dryer sheet can help keep clothes smelling fresh. Jewelry can be organized using those weekly pill containers, which helps keep everything separated. Bringing a few plastic bags is a good idea, just in case something gets wet or dirty as they can just be thrown into the plastic bag. Buying an inexpensive sunglass holder to keep phone chargers and computer cords in is a great idea, as this easily keeps them in one place so they don’t get lost. For travelers who happen to have forgotten their charger at home, they can either ask the place they are staying to borrow a charger or they can check the back of their television, as there’s often a USB port located there. When driving to a new location, tell your clients to take a picture of something nearby that is very noticeable to prevent them from getting lost. They can also use their phone to drop a pin on Google Maps, which makes a note of that exact place. Because it is very possible that this traveling year will still be affected by government shutdowns, please let all of your clients who are traveling by airplane know that they can help the workers who are still showing up for the job by giving them gift cards.